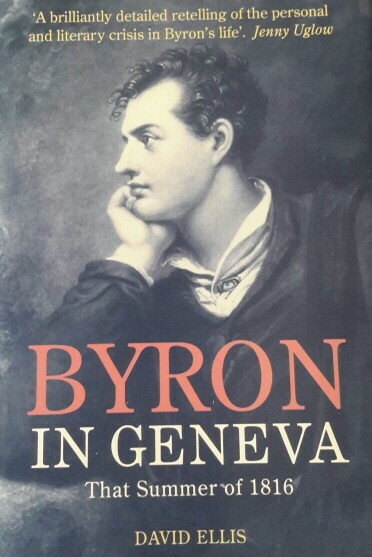 Byron in Geneva: That Summer of 1816 (Liverpool University Press, 2011). This book sets out to challenge several recent damning studies of Byron and reassert the value of the poet's wit, warm-heartedness and hatred of cant. It concentrates on those few months when Byron was living in a villa on the shores of Lake Geneva, in close proximity to Shelley and his future wife, and with Madame de Staël just across the water.
" Ellis's amassing of biographical subplots creates a richly peopled context ... [his] narrative of criss-crossing pathways details with brilliant economy the way in which 'that summer' failed to answer to the lonely searches of all those involved. "